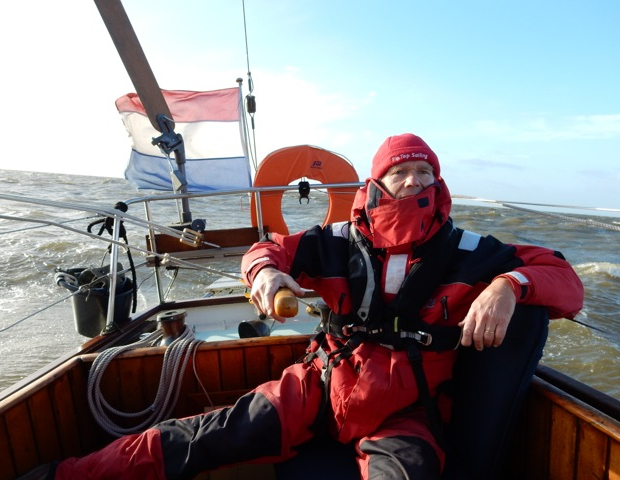 Michiel Scholtes is an enthusiastic sailor who has had many adventures aboard his steel yacht, Eenhoorn. 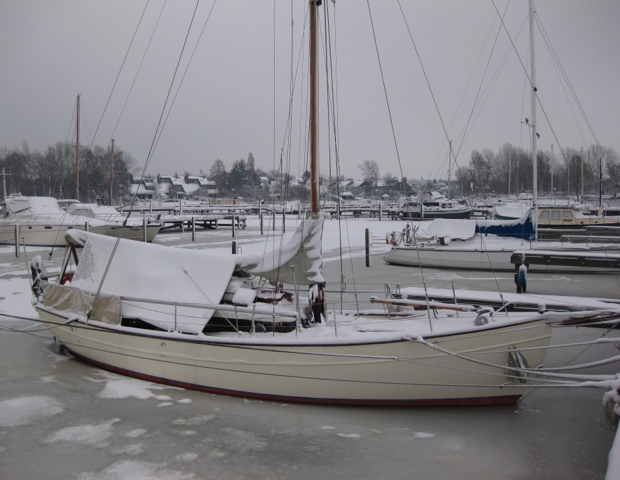 Although Eenhoorn is Lloyd's Registered as a Harrison Butler designed boat, looks like a Harrison Butler designed boat, and sails like one too, it's not clear which design she's based on - the Askadil design is a posibility but with modifications to take advantage of her being constructed in steel rather than wood. I know of three other such seel built dutch boats, not currently (April 2018) listed on the website; Radboud, Spica and Saltash. From the Dutch, Eenhoorn translates literally as 'one horn' or, more precisely, 'Unicorn'. Between 1960 and 1967 she was called Tukker III. (Tukker is a nickname for people from the Saxon centre-eastern region of The Netherlands). Michiel has written a number of terrific articles about his voyages in Eenhoorn which have appeared in Dutch sailing magazines over the last few years. A translation of one of these, New Nature, is in the Autumn 2015 issue of the HBA Journal. Another, Blind Child, appeared in the New Year 2017 edition of the HBA Journal. In the Summer of 2016, Michiel brought Eenhoorn to the UK's East Coast; it would be interesting to know what a Dutchman visiting these shores thought of them.